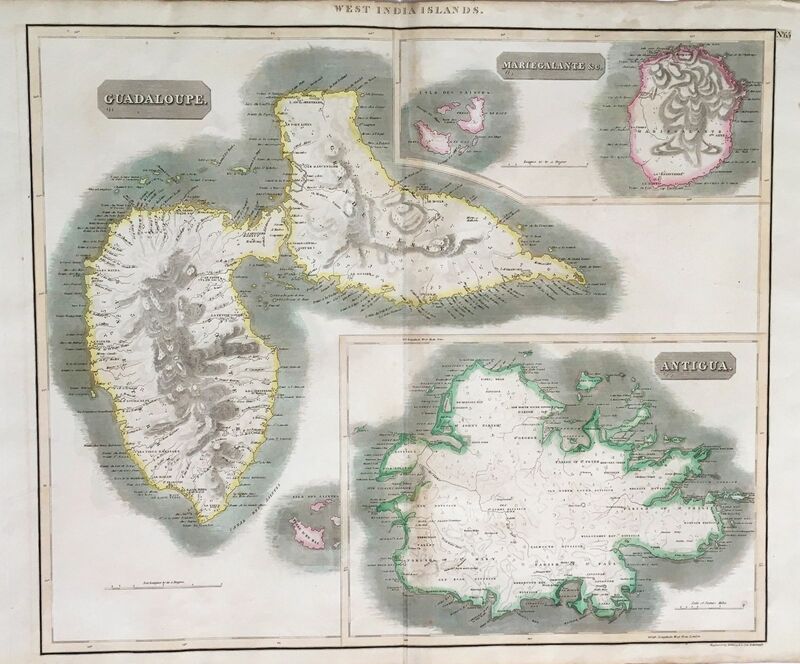 FairWinds Antique Maps - Item # SW1575: West India Islands. Guadeloupe. Marie Galante etc. Antigua. West India Islands. Guadeloupe. Marie Galante etc. Antigua. Three islands on one large sheet, from Thomson's New General Atlas. Typical of Thomson's cartography, the maps are clean, simple and elegant, with the focus on the impressive topography and numerous place names (which are particularly dense on St. Lucia). Size: 23 1/4" x 19 3/4"